Sedna | Analyze the Data not the Drivel. 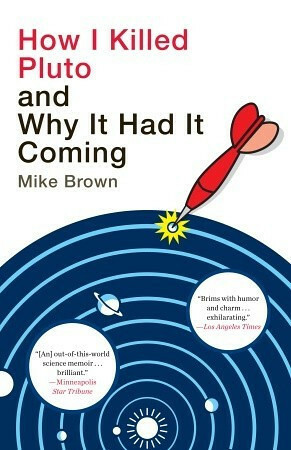 As a longtime amateur astronomer I appreciate good science writing and Mike Brown’s little book How I Killed Pluto and Why It Had It Coming is a wonderful example of the genre. When Pluto was tossed from the pantheon of planets I didn’t care. I knew that in previous centuries, when asteroids were first discovered, that they were briefly counted as planets. Eventually asteroids lost their planet status; there were too many of them and they were all dinky compared to real planets. Brown notes this bit of astronomical history by pointing to 19th century textbooks with high planet counts. The same holds for Pluto, Eris, Sedna, Quaoar and all the other known baby ice balls that make up the Kuiper belt. Real planets are massive enough to clear their orbits of crap. By this standard Mars barely qualifies and Pluto does not. The emotional hysterics that greeted Pluto’s demise are still playing out. Some reviews posted here castigate Brown in terms rightly applied to suicide bombers and Obama voters. When Pluto bulks up and starts bullying its neighbors like all manly planets do we’ll talk until then I’d advise the puerile Pluto partisans to plumb up their pie holes otherwise we’ll have to toss you in the crank bin with the creationists and cold fusion nitwits.